I'm working on Mohawk Squirrel and also Red Hat Squirrel seen below. 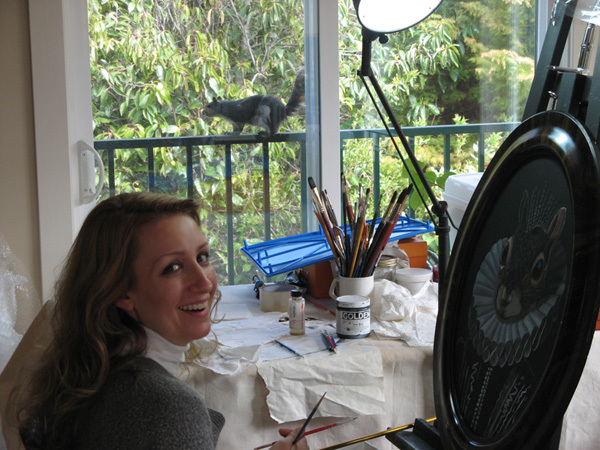 Getting wood cut for four more ornate gold frames, and back to trying Walnut Oil for painting. 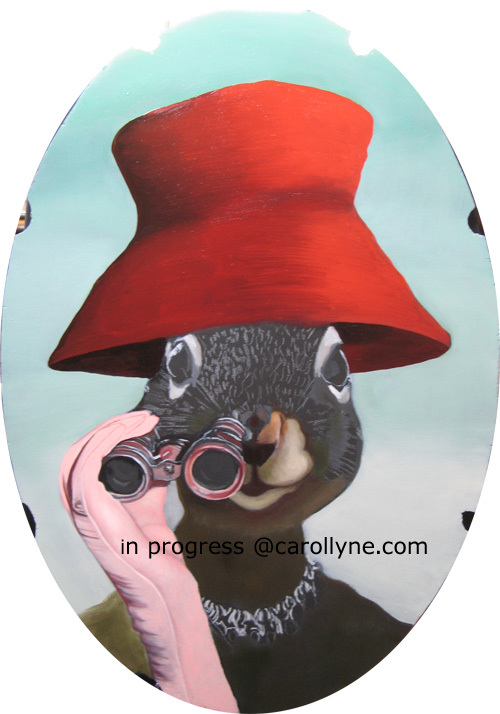 Red Hat Squirrel in progress. 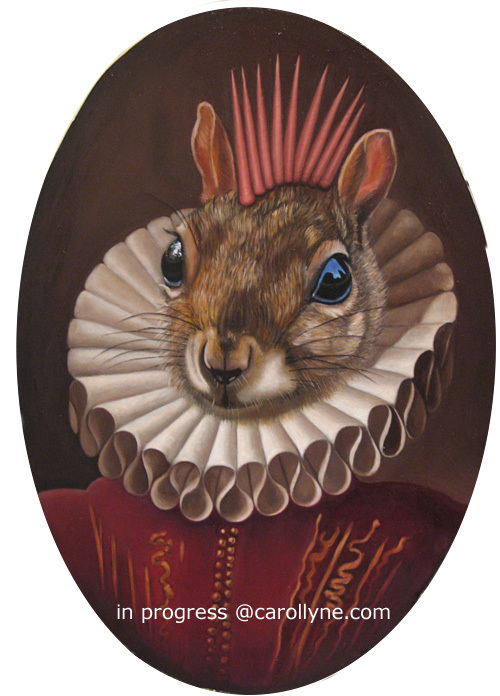 I'm working on two paintings right now, Mohawk Squirrel and Redhat Squirrel. Both are in various stages of progress. Posting Mohawk Squirrel here, Redhat tomorrow. Martin (Marty) Machacek, Rogers Chocolates and Mother’s Day! 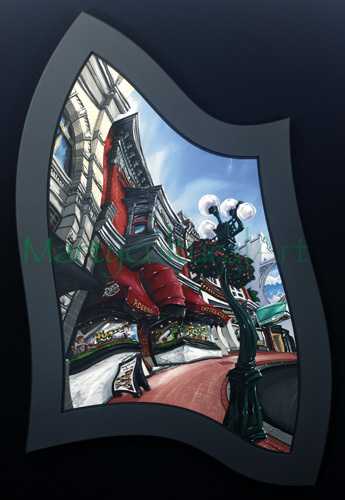 Comments Off on Martin (Marty) Machacek, Rogers Chocolates and Mother’s Day! 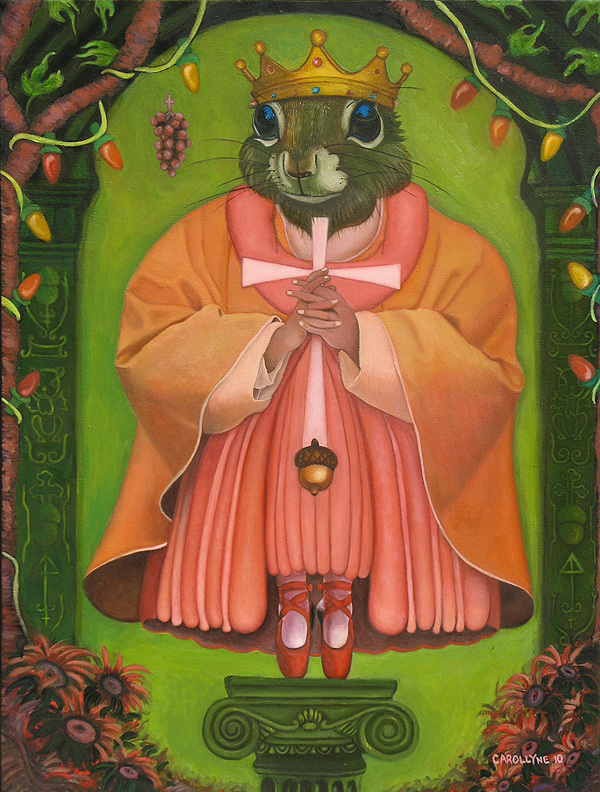 Squirrel Pop Surrealism, Live Model! 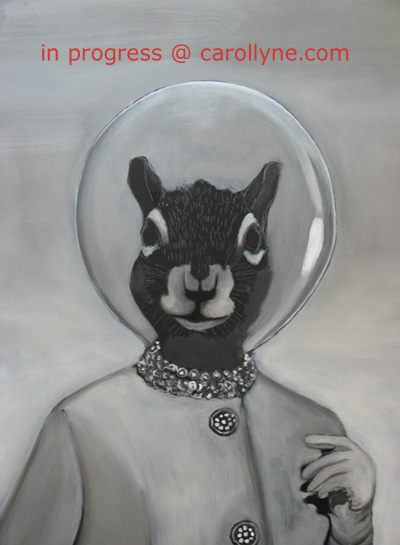 Comments Off on Squirrel Pop Surrealism, Live Model!